One of the things I love about the genealogical community is its generosity. Whether it’s time spent in indexing records, volunteering assistance in Facebook groups, or helping novice researchers at a Family History Center, many family historians are eager to share what they’ve learned and contribute their expertise in ways that benefit the community as a whole. It’s probably safe to say that anyone currently engaged in family history research has benefited from the assistance of others at some point, and I’m no exception. I was reminded of this recently, when I obtained the birth record of my great-great-great-grandmother, Catherine (née Grentzinger) Wagner. The acquisition of this document was relatively simple and straightforward, but this is only thanks to the years of research and generosity of a few individuals. I became interested in genealogy in my mid-20s, around the time that my husband and I married. By that point, my aunt, Carol Fischer, had already been actively researching my Dad’s side of the family for at least 10 years. Since Aunt Carol was working on Dad’s side, I figured I’d start my research with my Mom’s Polish side. Polish research techniques also served me well in documenting my husband’s family, since all of his grandparents were of Polish ancestry. All this research kept me pretty busy, so it wasn’t until about 2006 that I started poking around in records on my Dad’s side, and serendipitously discovered the ancestral village of our Ruppert ancestors through indexed records at FamilySearch. Aunt Carol’s original intention was only to document our family back to the immigrant generation in each surname line, so from that point on, we arranged a loose collaboration in which I would try to determine our immigrant ancestors’ places of origin and trace the lines back to the Old Country, while she would continue her thorough documentation of more recent generations, locating living relatives throughout the U.S.
My great-great-great-grandmother, Catherine Wagner, was one of those immigrant ancestors whom I hoped to trace back into the Old Country, but there were some research obstacles that we needed to surmount. By October of 2012, according to my research notes, we still had not determined Catherine’s maiden name. 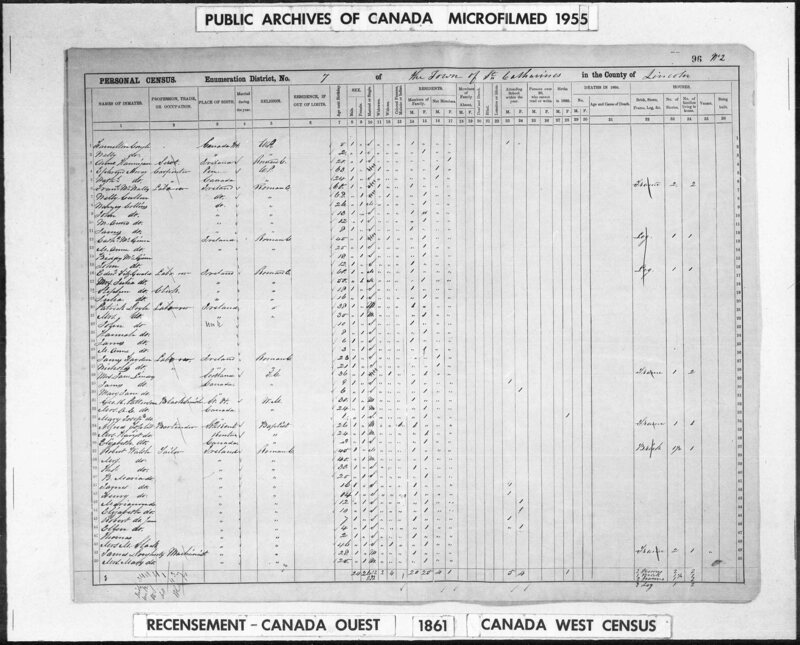 What we knew from census records and from her death record was that Catherine was born circa 1830 in Germany or France, she married Henry Wagner circa 1855, they were the parents of two children, John and Mary Elizabeth, and that Catherine died 25 November 1875.1 The fact that her place of birth was recorded as “France” in the 1860 and 1870 censuses, and “Germany” in her death record from 1875, suggested that she was born somewhere in Alsace-Lorraine, a territory which belonged to France in the first part of the 19th century but was ceded to Germany in 1871 following the Franco-Prussian War. No marriage record had been discovered at that point for Catherine and Henry — I didn’t find that until just last year (see here for the story). Neither did we know specifically where Catherine was born. Aunt Carol and I both realized that church records from the parish the Wagners attended in Detroit would be required for further research into this family. In particular, we hoped that the baptismal records for Catherine’s children, John and Mary Elizabeth, might indicate where their parents, Catherine and Henry, were born. Those baptismal records were also likely to mention Catherine’s maiden name. Although we could have written to the church in Detroit to request copies of those baptismal records, we had a substantial amount of research to do in Detroit church, cemetery, and newspaper records for both our Wagner and Roberts families. It seemed to make more sense to gather all the records at once during several days of onsite research in Detroit, or else hire a local professional researcher to obtain the records for us. Since both of us had other research we could do in records that were more readily available, we put the Detroit research on the back burner. Fast forward to January 2015. At some point around this time, I chatted about my Detroit research interests with my friend and colleague, Valerie Koselka. Since Valerie lives in the Detroit metropolitan area, she kindly offered to do a little searching for me. Among the documents she was able to locate were the long-coveted baptismal records for Mary Elizabeth Wagner and her brother, John Wagner, who was baptized as Augustinus (see this post for more information). Thanks to Valerie’s generosity, we finally had evidence for Catherine Wagner’s maiden name and place of birth (Figures 1 and 2). Catherine’s place of birth was recorded on one document as “Oberelsau,” (i.e. Oberelsaß, the German term for Upper Alsace, or Haut-Rhin) and on the other it appeared to be “Heinsalz, Alsatiae.” I couldn’t find any village called “Heinsalz” that was in Haut-Rhin, but I didn’t search too hard at that point, choosing instead to focus on the other key bit of information revealed by this record: Catherine’s maiden name. The birth records revealed that her maiden name was Granzinger, which immediately reminded me of the 1870 census, in which Henry and Catherine Wagner’s household included a laborer named Peter Grenzinger (Figure 3). Although I’d wondered previously if Peter might be some relation to Catherine since he was also reported as born in France, there was no real evidence for that prior to the discovery of this baptismal record. Now, suddenly, he was almost certainly a relative, and quite possibly a brother. Immediately, I was hot on the trail of a Peter Grenzinger, born circa 1832 in France, who immigrated to Detroit. As expected, I found various spellings of the Grenzinger/Grentzinger/Granzinger/Grantzinger surname, and as I sifted through the possible matches in online records, I discovered the Find-A-Grave memorial for Elizabeth Eckert Granzinger, “wife of Peter.”5 According to her grave marker, Elizabeth was born in 1800, which would make her the right age to be the mother of Catherine and Peter (both born circa 1830). Moreover, her husband, Peter, shared a given name with Catherine Wagner’s putative brother, which was highly suggestive as well. Could this, then, be the grave of my 4x-great-grandmother? As I dug deeper into the records at Ancestry, I discovered a family tree posted by a woman named Constance (Connie) Keavney, which brought all the pieces of the puzzle together.6 It included the family group of Peter Grentzinger, born 6 April 1802 in Steinsoultz, Haut-Rhin, Alsace, France, and Elizabeth (née Eckerd) Grentzinger, born 21 July 1801 in Steinsoultz. They were the parents of three children: Marie Anne Grentzinger, born 6 December 1824; Catherine Grentzinger, born 8 January 1828; and Peter Grentzinger, born 15 March 1830. The dates of birth were very consistent with the dates of birth for my newly-discovered Detroit Grentzingers, and the names matched perfectly with existing evidence, confirming my hypotheses about the relationships. On closer inspection, the village of “Heinsalz” mentioned on the baptismal record was clearly “Steinsoultz,” too. In Connie’s tree, Peter Grentzinger’s family disappeared from the records in Alsace. She did not know that they immigrated to Detroit, Michigan, until I contacted her and shared my research with her. Her own branch of the Grentzinger family was descended from Francis Joseph Grentzinger, the older brother of Peter (Sr.) Grentzinger. Francis Joseph married Madelaine Hänlin in Steinsoultz and they immigrated with their children to Irondequoit, New York. Connecting with a new cousin is usually a thrill for us genealogists, and Connie has been a delightful person to get to know. In a bizarre twist of fate, I realized as we chatted that I was already acquainted with her son Chris and his family, having met them several years earlier on a camping retreat attended by both Chris’s family and mine. (Little did we know we were 5th cousins once removed!) Connie did her research into the Grentzinger family decades ago, in microfilmed records for Steinsoultz available from the LDS (Mormon) Family History Library and through onsite research at Saint-Nicolas church in Steinsoultz, so she was unable to share images of her documents with me. However, in recent years these records have been made available online through the Departmental Archive of Haut-Rhin. This document made an impression on me for several reasons beside the fact that it was the birth record of my 3x-great-grandmother (which makes it inherently cool). First, it’s the first document I’ve discovered for my family to date that was recorded in French, rather than Polish, Russian, Latin, German, or English. Despite this, the style in which it was written was very familiar to me because it followed the format prescribed by the Napoleonic Civil Code, which was used in the Duchy of Warsaw and the Kingdom of Poland (i.e. Congress Poland or Russian Poland). This document was also signed by my 4x-great-grandfather, Pierre/Peter Grentzinger (Figure 5). Figure 5: Extract from birth record of Catharine Grentzinger, 8 January 1828, showing signature of her father, Pierre Grentzinger. I always get a special thrill when I find a document that my ancestor signed with his own hand — especially when the signature is of an ancestor for whom I have no photographs. Even though I may only be looking at a digital image of the document, it’s still amazing to see that unique piece of personal history. I find tremendous satisfaction in building a family tree on a solid foundation of documentation, but genealogy research is hardly a solitary pursuit. It’s only because of the research done by Aunt Carol and Connie, and the gift of time and talent given by Valerie, that I have the pleasure of discovering the Grentzinger family through the records of Steinsoultz for myself. For me, it’s a gift to be able to peer into my family’s past, but if I can see a long way back into the mists of time, it’s only because I have stood on the shoulders of giants. Michigan, Death Records, 1867-1950, database with images, record for Catherine Wagner, died 25 November 1875, 6th Ward Detroit, Wayne, Michigan, Ancestry (subscription database, https://search.ancestry.com : 26 August 2018). 4 1870 United States Federal Census, ibid. 5 Find A Grave, database and images (https://www.findagrave.com : accessed 27 August 2018), memorial page for Elizabeth Eckert Granzinger (1800–5 Aug 1854), Find A Grave Memorial no. 108389561, citing Assumption Grotto Cemetery, Detroit, Wayne County, Michigan, USA; maintained by Jackson County Genealogical Society – Michigan (contributor 47614392) . 6 Officier de l’état civil (Steinsoultz, Altkirch, Haut-Rhin, France), Naissances, 1797-1862, 1828, #1, birth record for Catharine Grentzinger, 8 January 1828, accessed as browsable images, Archives départementales du Haut-Rhin, (www.archives.haut-rhin.fr : 27 August 2018), Steinsoultz > Naissances, 1797-1862 > image 194 out of 391. One of the guiding principles of efficiency in genealogy research is to create a research plan and stick to it. We all run across distractions as we research, of course, and we’ve probably all had that experience of heading down a research “rabbit hole” in pursuit of something not directly related to the original goal, and then emerging hours later with little to show for one’s research time, beyond, say, a new appreciation for plants which our ancestors might have used to make clothing dyes. (Okay, maybe that’s just me. Anyway.) In the genealogy community, these distractions are commonly referred to as BSO’s: Bright, Shiny Objects. The prescribed remedy is to make a note of each BSO as it arises, jotting down where it was found so that it can be explored in detail during another research session, and then move on, in order to achieve the research goals set forth in the initial research plan. This is absolutely sound advice. And yet, there are times when I am so very glad that I pursued those BSO’s. A perfect example of this arose last weekend. My husband and I had a date night planned, but I had allotted some research time in the afternoon prior to that. My goal was to make a list of distant cousins on my Dad’s paternal line who might be persuaded to donate a DNA sample to address some research questions that have recently cropped up. In reviewing my data on this side of the family, I took a look at my Grentzinger line. 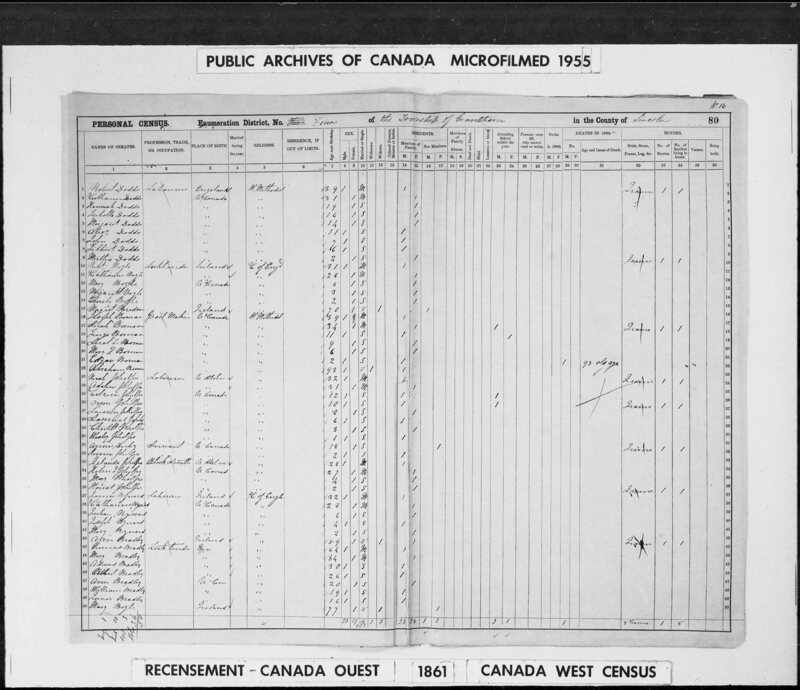 Figure 1: Extract of 1870 census showing Henry Wagner household.3 Note that the family includes not only Henry and Catherine and their two children, John and Mary, but also 16-year-old Mary Meat. I haven’t yet figured out how she fits in, so that’s another mystery for another day. Figure 2: Michigan Civil Marriages, 1834-1974, index-only entry for Catharina Grenzinzer. I’d wondered if it was my Catherine, but there were other Granzinger/Grentzingers living in the midwest at that time and the relationships between them aren’t yet clear to me. I know from experience how easy it is to draw erroneous conclusions based on limited data, so I was hesitant to get too excited about this record. Although Catherine’s age here suggests a birth year of 1828, which is consistent with what is known for “my” Catherine, this indexed entry did not include parents’ name or any other identifying information that might make it easier to draw firm conclusions. So I put this puzzle piece aside for the time being and moved on. When I rediscovered this puzzle piece last weekend, it occurred to me that many of the indexed records collections on FamilySearch now have images online. A great place to see what’s online (indexes and scans) is to visit the “Research by Location” page for your area of interest. For example, the page for Michigan shows all these fantastic collections of online images (Figure 3). Figure 3: Michigan Research Page at FamilySearch. I noticed that the Michigan County Marriages, 1820-1940 database has been updated since the last time I researched my Grentzingers two years ago. I looked up that marriage record for Catherine Grentzinger and Victor Dellinger again, and this time, I was able to obtain the image of the record (Figure 4),4 despite the fact that Figure 2 states “no image available” in the upper right corner. Sometimes it seems that the left hand at Family Search knows not what the right hand is doing. Unlike that index-only record, this image was a cause for celebration, because it provided a necessary clue that allowed me to conclude that this was, indeed, my 3x-great-grandmother. The clue was the first witness, Henry Diegel. When I saw that name, my heart leaped with joy. Now at this point, you may be asking, just who is Henry Diegel? Immediately I took a look at the other burials in Find a Grave in Assumption Grotto Cemetery with the surname Diegel to see if I could gather additional clues. There were a couple hits for men who were born in the mid-to-late 1800s, who were therefore unlikely to have been Elizabeth’s husband. When I broadened the search to include any Diegels buried in that cemetery, however, there was quite a list of them, including one John Henry Diegel, born in 1798, who seemed like the most plausible candidate for a connection to Elizabeth Grentzinger. But why was she not buried as Elizabeth Diegel, if they were married? Perhaps one of the other Henry Diegels was a son-in-law who paid for her grave, since her husband Peter Grentzinger was already deceased? There were too many questions and too few answers, and more pressing matters pulled me away from further research on this line. The witnesses named here are Henry’s siblings, August and Gertrude Wagner, providing further confirmation that this is the correct marriage record for my ancestors. It’s also worth mentioning that although this is the civil marriage record — meaning the one created by the civil authorities for Wayne County, Michigan — this does not imply that they were not also married in a religious ceremony. In fact, the column heading on the last column (cut off in this image) indicates the name of the officiant at each marriage in the register, and the column heading states, “Ministers of St. Mary’s Church.” The church record should also be sought because it is likely to contain information beyond what is mentioned on the civil version of the record. After realizing that Catherine Grentzinger was married to Victor Dellinger in 1846, my next step was to look for them in the 1850 census (Figure 6).7 Bingo! They were indexed under Victor Dalmgher, and it doesn’t look like a transcription error, but rather a spelling that’s true to what was recorded in the census. At this point I don’t know which version is closer to Victor’s true surname, but as my undergraduate research mentor used to tell me, “Keep gathering data, and truth will emerge.” What’s really exciting about this record is the fact that there are two children living with the parents, previously unknown to me. Also listed with this household, but appearing at the top of the next page, is Catherine’s brother, Peter, recorded here as “Gransan” (Figure 7). That was as far as I got with my pursuit of the BSO that afternoon before my husband came looking for me, wondering why I wasn’t dressed and ready for our date yet. (Have I mentioned that he’s a saint?) While it’s true that my journey down the rabbit hole kept me from finishing the task I’d assigned for myself, I was still able to complete that research task the next day. And I’m absolutely thrilled with the fascinating new insights into my Grentzinger ancestors that resulted from one little dalliance with a BSO. 1 New York, Passenger Lists, 1820-1957 (image), Henry Wagner family, S.S. Erbpring Luidrich August, 29 September 1853, http://ancestry.com, subscription database, accessed January 2017. 2 Assumption Grotto Cemetery, Detroit, Michigan (image and transcription), Elizabeth Eckert Granzinger headstone, 1800 – 5 August 1854, Memorial #108389561, http://findagrave.com, accessed February 2017. 3 1870 U.S. Census (population schedule), Detroit, Wayne, Michigan, 1st precinct, 6th ward, page 11, Henry Wagner household, http://ancestry.com, subscription database, accessed February 2017. 4 Michigan, County Marriages, 1820-1940, (images and transcriptions), record for Victor Dellinger and Catherine Grenzinger, http://familysearch.org, accessed February 2017. 5 Assumption Grotto Cemetery, Detroit, Michigan to Julie Szczepankiewicz, Notes from telephone conversation, 15 January 2015. 6 Michigan, County Marriages, 1820-1940, (images and transcriptions), record for Henry Wagner and Catherine Dellinger, http://familysearch.org, accessed February 2017. 7 1850 U.S. Federal Census (population schedule), Detroit, Wayne, Michigan, page 156B and 157, Victor Dalmgher household, http://ancestry.com, subscription database, accessed February 2017. © Julie Roberts Szczepankiewicz 2017.